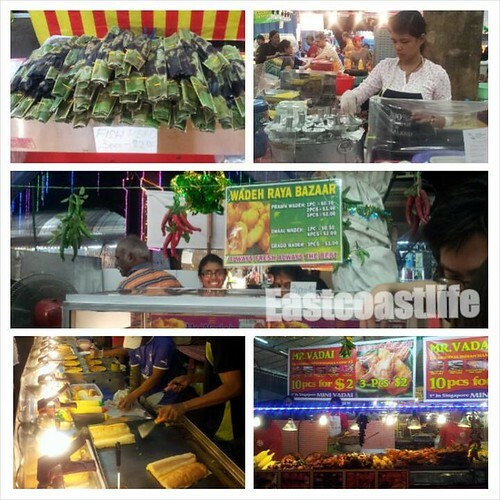 Geylang Serai Hari Raya Bazaar light up was held on 27 Jun 2014. Every year I look forward to tasting the yummilicious street food sold here. 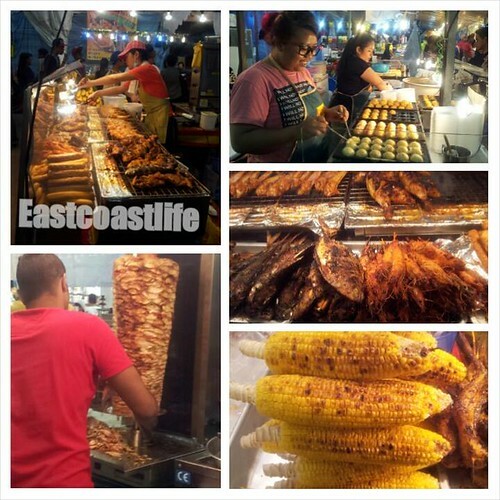 There are a few regular food stalls that I would buy from. There are usually long queues. A must is the crispy wadeh (Indian prawn fritters, 3 for S$2), my husband and I love them! My son and I would join the queue for Ramly burgers :) Watching the young men making our orders are always fun and enjoyable. This year there is a stall selling Turkish BBQ meats and seafood. I bought half a roasted Turkish chicken (S$6) to try. In recent years we see new food items being sold here. 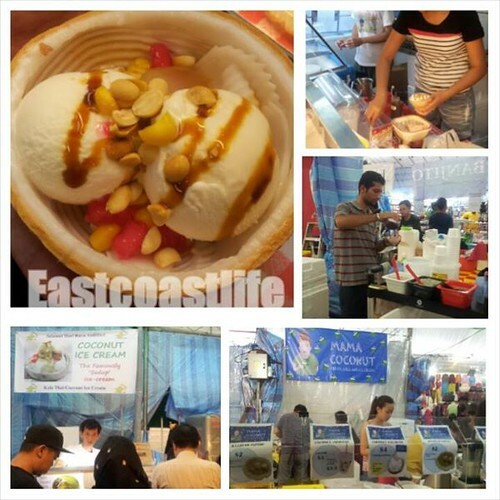 Found 3 stalls selling the popular Thai coconut ice cream at the Bazaar this year. I tried the coconut ice cream ($4) sold by a Thai young girl near Singpost (corner stall nearest to Singpost building). Oh you had coconut ice cream too! It wasn't tasty, miss the delicious coconut ice cream in Bangkok. Would be a fun visit!! Yes, lots of interesting stalls to visit. There are tourists who visit this bazaar for a fun and rewarding experience. Would love to visit one in Japan when I visit. Love to try the food. Great captures from the bazaar. Too many food to choose from..and greedy me usually end up overbuying whenever I visit one ha ha!